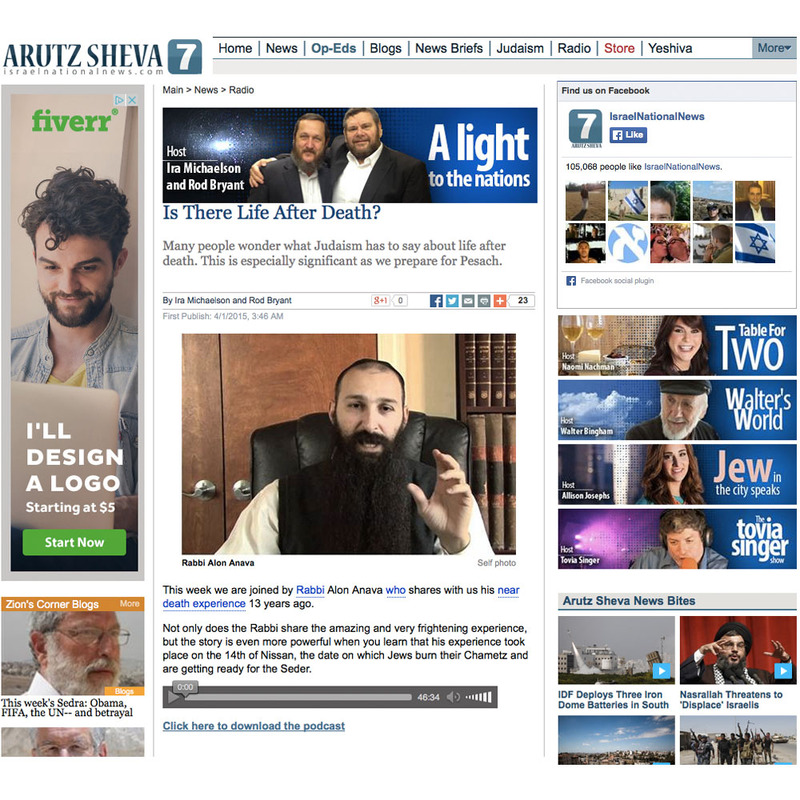 A light to the nations is a radio show hosted by Ira Michaelson and Rod Bryant on Arutz Sheva Israel national news website. This radio show is heard by thousands of listeners all over the world. Rabbi Alon Anava was a guest on the show right before Pesach 2015 and got exposed to thousands of listeners.